Car shoppers in the market for an eco-friendly car should visit Sanford Honda and check out the 2016 Honda CR-Z, which is a recent addition to the Honda hybrid lineup that mixes cutting edge technology and a sporty style. While a crossover is a blend of sedans and SUVs, the 2016 Honda CR-Z from your local Honda dealership in Sanford, NC, is a cross between sedans and crossovers. It’s a new twist on an old idea. And, it is one that nets even better fuel efficiency. In fact, this new vehicle will stretch out gas mileage of 39 miles per gallon on the highway* and 36 mpg in the city*. The 2016 CR-Z features a unique 3-mode drive system that allows drivers to choose the level of performance and efficiency at any given time. It also allows for adjustments on the fly so you can choose accordingly in relation to driving conditions. The 3-mode drive system is set by default to Normal, which provides standard settings for all systems. Switch to Sport mode and enjoy the performance side of the Honda CR-Z in Sanford to the fullest. 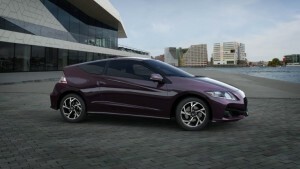 In this mode, the CR-Z will use the electric motor more aggressively for quicker acceleration and throttle response. But perhaps the largest difference is the tighter steering and control. ECON mode is great for saving gas and money – especially if you are in stop-and-go traffic… or if you are on the freeway. In ECON mode, the 2016 Honda CR-Z from your Honda dealership in Sanford, NC, will optimize vehicle’s power and accessory load to lessen energy consumption. When this mode is activated, it will shut off the gasoline engine sooner when coming to a stop, thus saving fuel. So as you can see, the 3-mode drive system makes the 2016 CR-Z quite a versatile vehicle that can balance performance with efficiency. Visit Sanford Honda in NC today and take a 2016 Honda CR-Z out for a spin around the block. Then take one home at an amazingly affordable price tonight, and do something good for your wallet and for the planet. * 31 city/38 highway/34 combined mpg rating for 6MT models. 36 city/39 highway/37 combined mpg rating for CVT models. Based on 2016 EPA mileage ratings. Use for comparison purposes only. Your mileage will vary depending on driving conditions, how you drive and maintain your vehicle, battery-pack age/condition, and other factors.